Monaco 1 vs 2 Atletico Madrid Highlights – Atletico Madrid ultimately secured a straightforward victory at Monaco in their Champions League opener, winning 2-1 despite falling behind. 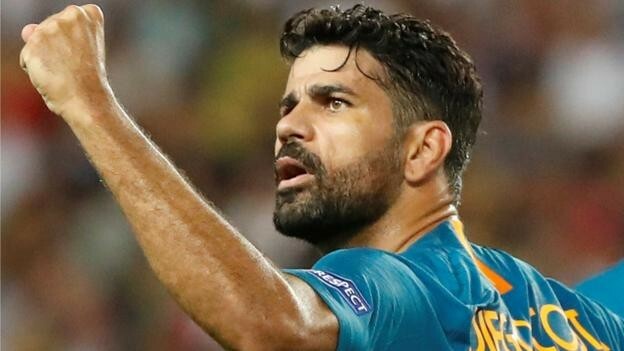 Diego Costa and Jose Gimenez did the damage as Atletico Madrid came from behind to begin their Champions League Group A campaign with a 2-1 win at Monaco. Atletico have been disappointing in LaLiga and again looked susceptible at the back in the first half, but their quality in the final third ensured they had too much for Leonardo Jardim’s men. A couple of mistakes in quick succession ruined Atletico’s positive start as Samuel Grandsir netted on his Champions League debut, but the superior visitors deservedly went into the break ahead thanks to Costa and Gimenez. That lead never looked in danger after the restart, as Atletico enjoyed complete control of the midfield and saw out the win. Although Atletico started the brighter, Monaco punished two errors in the 18th minute as Radamel Falcao robbed Saul Niguez in the area and saw Angel Correa knock his cutback on to Grandsir, who prodded past Jan Oblak. Costa made amends for an early miss by levelling just after the half-hour mark, finishing beyond Diego Benaglio with aplomb after Antoine Griezmann’s cushioned first-time pass released him. Atletico completed the turnaround on the stroke of half-time – Gimenez powering a header past Benaglio from Koke’s corner. The away side sat back more after the break, offering encouragement to Monaco, but a lack of sharpness in attack saw the hosts fail to capitalise. Substitute Jordi Mboula looked lively after replacing Nacer Chadli, though the best he could muster was a long-range effort which sailed over and Atletico easily cruised to the final whistle.